Charbroiled Wild Salmon au Poiver with Maple and Balsamic Glazed Strawberries. 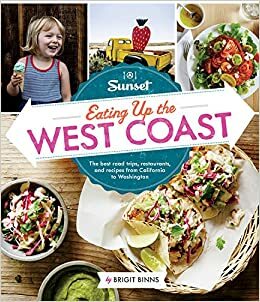 Ocean Crest Resort's Charbroiled Wild Salmon au Poivre with Maple-Balsamic Glazed Strawberries was just published in Sunset's "Eating Up the West Coast:The best road trips, restaurants, and recipes from California to Washington" Yum! . Ingredients: 1oz Pure Maple Syrup 1oz Balsamic Vinegar 6ea 8oz filet of Wild Salmon skinned Olive Oil Spray Salt and Pepper 6 Strawberries sliced Preparation: 1. Mix maple syrup with balsamic vinegar and set aside. 2. Preheat grill to medium. 3. Spray flesh side of salmon with olive oil, season with salt and pepper, and place on the grill skin side up. While on the grill, spray skin side of salmon with olive oil and season. Grill for approximately 5 minutes (Cooking times depend on thickness of cut as well as temperature of the grill and desired doneness). 4. Remove salmon and from grill and plate. 5. Preheat sauté pan on HI on stove top. 6. Place strawberries in pan, add maple-balsamic mixture and toss to warm and coat strawberries. 7. Serve strawberries and sauce on top of salmon.